Chair Cushion Alarm System - 20" x 16" x 2.5",ChairPro Gel foam pad alarm provides pressure relief, comfort, and stability. Alarm initiates when user rises and resets he sits. 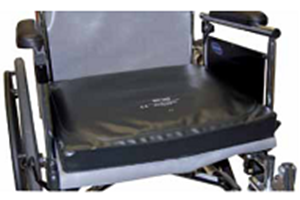 Chair Cushion Alarm System - 20" x 16" x 2.5"
ChairPro Gel foam pad alarm provides pressure relief, comfort, and stability. Alarm initiates when user rises and resets he sits.